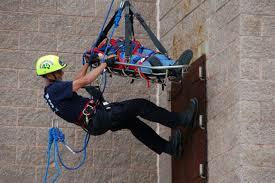 Specialty Response Teams….who are they and what do they do? 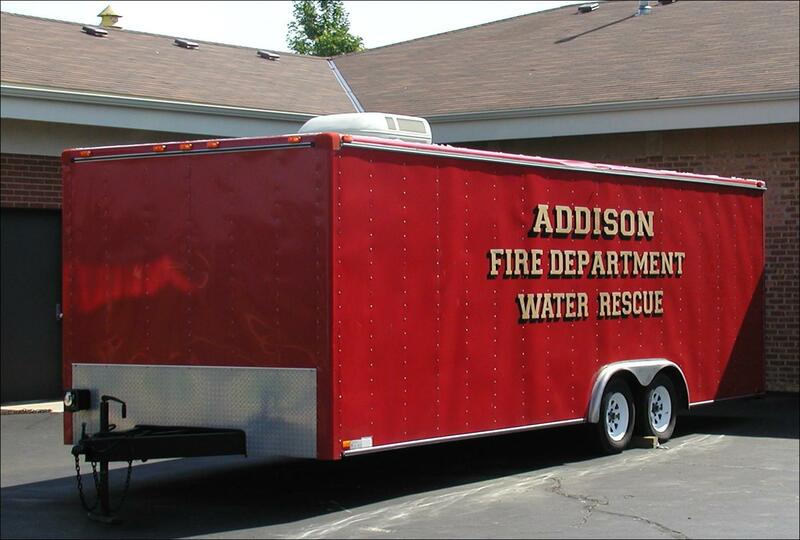 The Addison Fire Protection District maintains several Specialty Response Teams to handle incidents that require a higher level of expertise than the normally trained firefighter would have in the areas of Water Rescue, Hazardous Materials and Technical Rescue. While all Addison Fire Protection District firefighter paramedics are certified to varying levels to handle these types of incidents, sometimes these incidents require additional skill sets that only certain firefighters have obtained. The additional costs of training and supplying these types of teams makes it cost prohibitive to train and outfit every firefighter paramedic of our Fire District to be on these Specialty Response Teams. 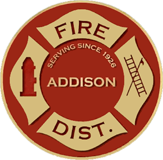 The Addison Fire Protection District maintains a sufficient number of personal on these teams to handle most incidents that occur using trained firefighter paramedic personnel already on-duty working their normal duty shifts. 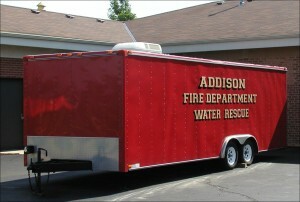 When an incident occurs in these areas that is larger or more complex, assistance from surrounding emergency agencies automatically occurs and Addison Fire Protection District Specialty Response Team members combine with other similarly trained Specialty Response Team members from other agencies to form an even bigger team. This system of team growth is expandable to just bringing in a few other surrounding fire departments to being able to bring in trained personnel from the entire State of Illinois, the entire Midwest or personnel from all over the United States. The Addison Fire Protection District Water Rescue Team handles incidents involving bodies of water such as creeks, rivers, ponds and lakes. Firefighter paramedics on this team obtain diving certifications and various other watercraft/waterway certifications. They carry and use a variety of specialized equipment such as boats, underwater sonar & SCUBA gear. They respond to many different types of calls including rescuing and recovering people within bodies of water & underwater evidence recoveries just to name a couple. The AFPD Water Rescue Team maintains a trailer which contains a Zodiac boat and all the rest of their equipment. The Addison Fire Protection District Hazardous Materials Team handles incidents involving hazardous material spills and leaks. 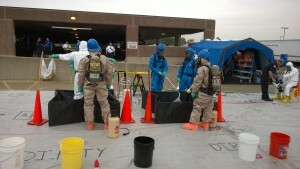 The AFPD serves an area that is heavily industrial and many hazardous materials are used in various local industries. Firefighter paramedics on this team obtain additional certifications that involve identifying hazardous materials and how to control them. Many hours are also spent training in bulky specialized suits required to be worn while working in and around hazardous materials. Besides the special suits this team wears, they also carry a wide array of computers and machines designed to sample and analyze hazardous materials. The Addison Fire Protection District Technical Rescue Team handles incidents involving people stuck at high elevations, underground or trapped in a structural collapse. Firefighter paramedics on this team obtain additional certifications and training in the areas of repelling and the utilization of rigging and shoring. This team carries and maintains specialized equipment such as ropes, underground cameras and shoring. Some members of the AFPD Technical Rescue Team are also members of Illinois Task Force One. This Task Force is an Illinois based Urban Search and Rescue Team that is always ready to respond to disasters or incidents that may occur anywhere within Illinois.